We are having quite a mystery at our house lately. 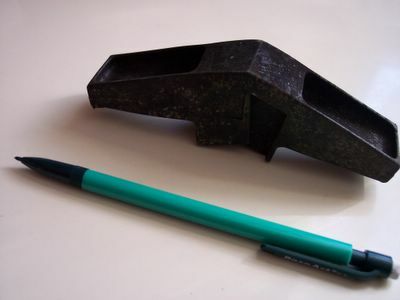 A few weeks ago I found this rubber thingie — we're researching the technical term — in our backyard near the porch. I showed it to Ron, who didn't know what it was either, so we just assumed it was some weird trash that ended up in our yard for whatever reason. No big deal. Then last week, another one of these rubber thingies shows up — on our front porch roof! Okay, now it's become a bit odd. 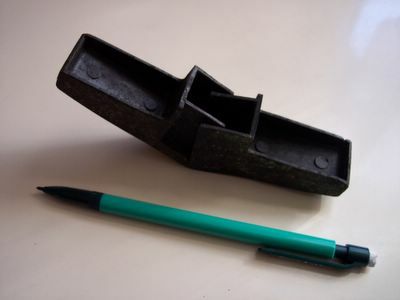 We still don't know what these rubber thingies are, and we're wondering how one ended up on the roof. 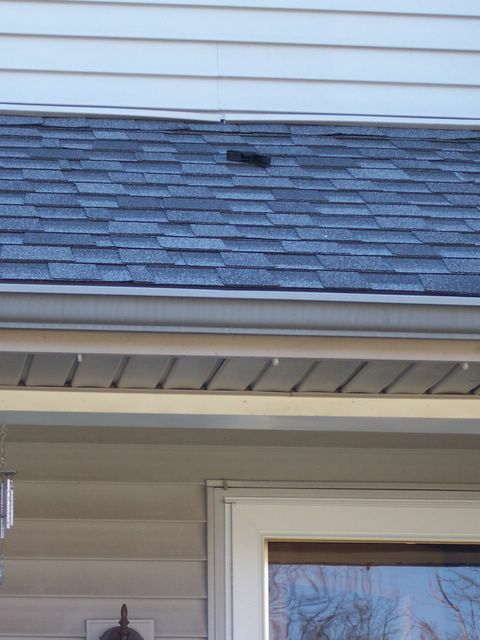 And now, just yesterday, we find yet another rubber thingie, this time on the main roof. Click on photos for a larger view. The pencil is shown for scale. 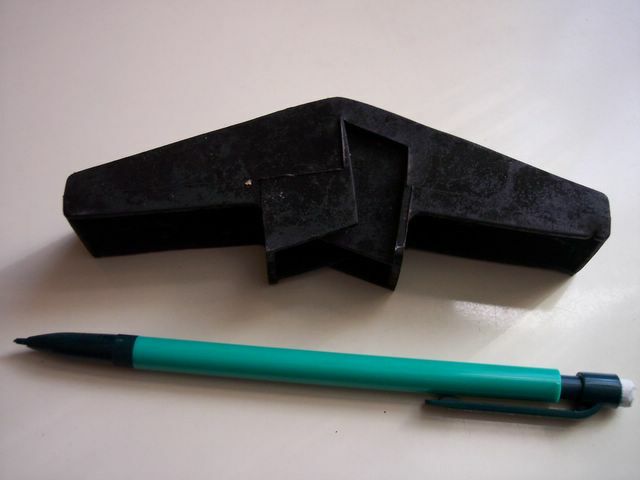 Rubber thingie on our front porch roof. We've now entered bizarre world. Are neighbor kids going around and tossing these things on our roof? If so, why? Okay, kids don't really need a why, but still, why? 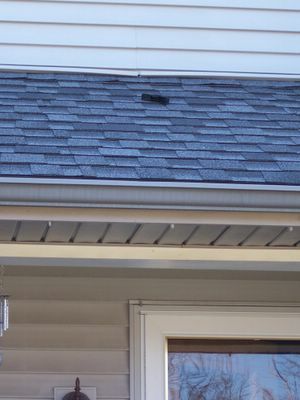 Are airplanes losing pieces as they fly over our house? Seems unlikely that they would all end up on and around our house, though, and no one else's. Are aliens landing on our house for weird midnight abductions, but we're too drugged to recall any of it in the morning? Could this possibly be related to my laryngitis that has now lasted for six weeks and seems impervious to all medical attention so far? Hmmm. So anyway, if anyone knows what these rubber thingies are, please let me know!